Dak Nong (VNA) – Prime Minister Nguyen Xuan Phuc had a meeting with key leaders of the Central Highlands province of Dak Nong, during which he asked for drastic and breakthrough measures to boost the locality’s growth. The PM suggested that Dak Nong continue speeding up its economic restructuring, focusing on renewable industry and service, while reforming administrative procedures in a comprehensive manner to attract investment and fostering the growth of industry, tourism, and startups. He reminded the province to pay greater attention to forestation and natural forest protection, as well as improving its provincial competitiveness index. Particularly, the PM stressed the need to take measures to enhance the living conditions of ethnic minority community in the province, as well as maintain good relations with Cambodian localities bordering Dak Nong. He held that a conference should be held to discuss how to deal with unplanned migration. Last year, Dak Nong recorded a growth of 9.47 percent, with State budget collection of over 2 trillion VND, surpassing the plan by 24 percent. The province currently has over 2,600 enterprises. Dak Nong is facing high burden from a large number of immigrants. So far, 675,500 people have moved to the locality, doubling the population of the province in 2004. 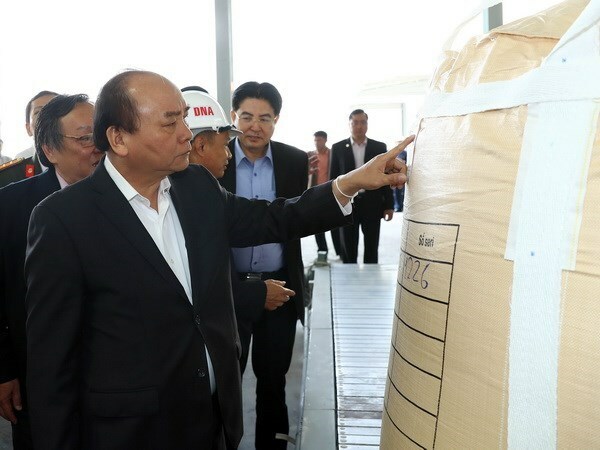 Earlier the same day, the PM visited two major projects in the province, including Nhan Co Aluminium Plant and Dak Nong Aluminium Electrolysis project. The Nhan Co Aluminium Plant has become operational since July 2017 with a design capacity of over 500,000 tonnes, mainly products exported to foreign markets, including Japan, the Republic of Korea, China and Singapore. Meanwhile, the 690 million USD Dak Nong Aluminium Electrolysis project with a capacity of 450,000 tonnes per year is scheduled to produce first products in the fourth quarter of 2019. Also on February 9, Prime Minister Nguyen Xuan Phuc made a pre-Tet visit to the provincial border guards and police forces. He applauded their plans to ensure security in border areas during Lunar New year holiday. Dak Nong, sharing 130km of border with Cambodia, should pay special attention to ensure security and safety along the border, while helping poor households enjoy a warm Tet festival, he asked. The PM asked them to improve combat readiness to protect national sovereignty and increase the involvement in socio-economic development activities. He urged Dak Nong border guards to build a stronger and more competent force, who is closer to the people and determined to safeguard the fatherland.